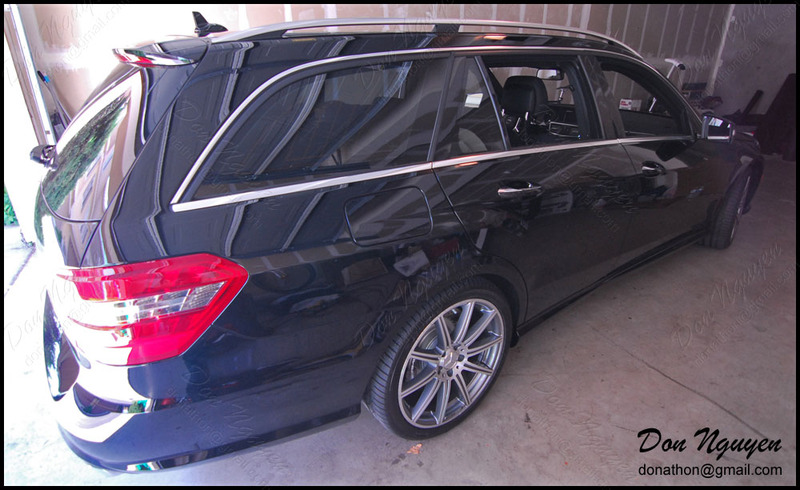 This is one of the cars that I did some vinyl work on last month when I was up in norcal / Bay Area for vinyl wrapping. 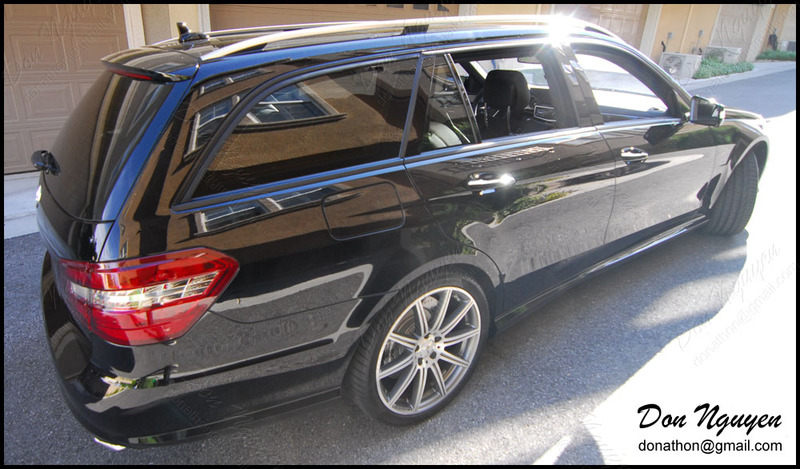 The owner of this car had me black out the chrome / aluminum window trim on his black E63 wagon. In addition to that, I also tinted his tail lights with my smoke film. Instead of tinting the entire tail light, I cut out the clear portion of the tail lights so that only the red is tinted / smoked. At first I wasn't sure how it'd look, but the contrast it ends up creating is pretty nice and I must say I like it. 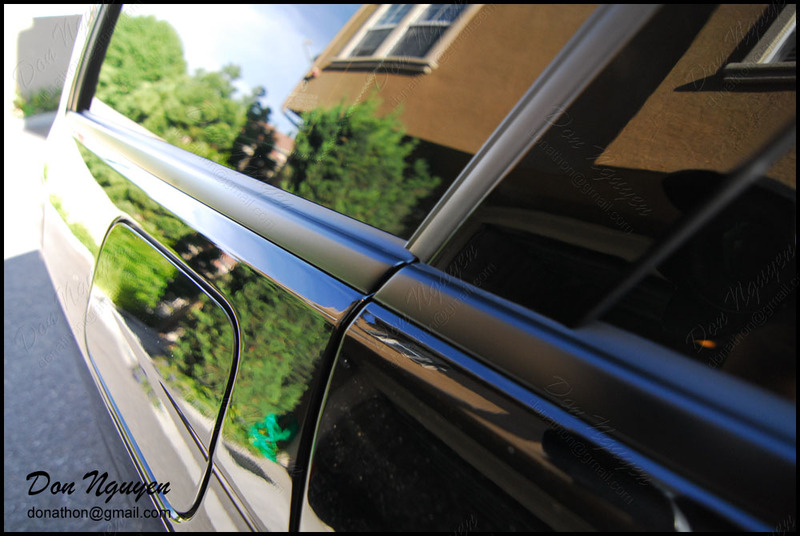 We also went with the matte black over the gloss black for the window trim, to provide some contrast to the gloss black paint and allow the trim pieces to still accent the car.